The famous watchmaker Vacheron Constantin presents a classic feminine model Patrimony Contemporaine Small White Gold (Ref. 85515/CA1G-9841). The round shape of the case is the main feature of the watches in a series of Patrimony Contemporaine. The novelty has a case with a diameter of 36 mm and a thickness of 9.15 mm in 18- carat white gold. The case is equipped by a bezel encrusted with 68 round diamonds weighing 0.78 carats. Water-resistant - 30 meters. The silvered opaline dial is equipped with applied white gold indices, and the graceful hour and minute hands repeats the contours of the dial. In the center of the dial is also available the second`s hand. At the 6 o`clock, there is the date aperture. The minute scale is decorated with 48 round diamonds weighing 0.16 carats. The model Patrimony Contemporaine Small White Gold operates on the base of the manufacturing automatic caliber 2450 Q6 with guilloche rotor made of gold. The diameter of the caliber - 26.20 mm (11 '' '½), thickness - 3.60 mm. The mechanism consists of 196 parts, on the 27 jewels, has a frequency of 28 800 vibrations per hour, a 40 - hour power reserve. The novelty comes on a white gold bracelet with deploying clasp in 18- carat white gold. 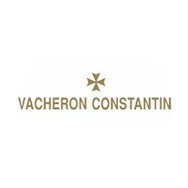 Official site of Vacheron Constantin. Quite recently pam65.ru was posted news about the new watch Métiers d'Art Mécaniques Ajourées by Vacheron Constantin, the details of which our readers can be found here: http://www.pam65.ru/news.php?newsId=5512. The company Vacheron Constantin will attend the fourth year in European Artistic Crafts Days, which will be held from 4 to 6 April in Paris and throughout France, London, Milan and Western Switzerland. Many watch brands are eager to satisfy any whim of fans, putting their uncontrolled and sometimes "wild" imagination in their own watches, be it dial or complication. Vacheron Constantin is the second model from the collection Métiers d'Arts Fabuleux Ornements. New collection Métiers d'Arts Fabuleux Ornements has become a kind of tribute to the beauty of the ornament, created by arts and crafts of various cultures. Watchmaker Vacheron Constantin with his watch creation has passed subtle connection between the two worlds which are developed parallel and at the same time integrated throughout the 19th century - horology and architecture. At the Geneva exhibition SIHH 2014, many famous watch companies presented their new products with skeletonized mechanisms. The known watchmaker Vacheron Constantin at the ongoing currently in Geneva SIHH 2014 has introduced a new skeletonized model Patrimony Traditionnelle 14 -day Tourbillon Openworked (Réf. 89010/000P-9935). In honor of the 20th anniversary of the famous Parisian boutique Dubail, the watchmaker Vacheron Constantin has released a special version of one of its models - Patrimony Contemporaine Bi-Retrograde. The manufacture Vacheron Constantin has recently expanded its Collection Excellence Platine with a novelty Malte Tourbillon Collection Excellence Platine (Ref. 30130/000P-9876), which was first introduced in pink gold last year. The famous watchmaker Vacheron Constantin has released the second part of the Métiers d'Art Les Univers Infinis collection, presented at the Salon International Haute Horlogerie - 2012 in Geneva, the inspiration for the creation of which was the creation of Dutch artist Maurice Cornelius Escher. The known watchmaker Vacheron Constantin in anticipation of the Salon International de la Haute Horlogerie 2014 exhibition has introduced three new watches. The Patrimony Traditionnelle Skeleton Perpetual Calendar wristwatch by the legendary watchmaker Vacheron Constantin is one of the best and simplest to use perpetual calendars. Watchmaker Vacheron Constantin presents a new limited edition watch “Year of the Horse” from the Métiers d'Art collection and the Legend of the Chinese Zodiac line. Watchmaker Vacheron Constantin has released a new chronograph Overseas Chronograph in a round 42mm stainless steel case. Water-resistant - 15 bar. The company Vacheron Constantin has expanded its Excellence Platine collection of a novelty Patrimony Traditionnelle 14 -Day Tourbillon. The famous manufacture Vacheron Constantin presents the gorgeous model Malte Tourbillon from the Vacheron Constantin Metiers d'Art Heritage collection. Watchmaker Vacheron Constantin announces the release of the novelty Patrimony Traditionnelle World Time for Mexico (Ref. 86060/000R-9965/00), released exclusively for the charity auction. Watchmaker Vacheron Constantin especially for the London boutique has developed the Patrimony Traditionnelle Caliber 2755 watch. This month, the famous watchmaker Vacheron Constantin has opened a new manufactory for the production of components, which covers an area with the size of 7000 sq m, to the end of the year is going to attract more than 200 employees. The elected masters, such as the complexity demand the highest level of skill, own the art of creating timepieces with sound. The legendary watchmaker Vacheron Constantin announces a new exclusive watch Toledo in 1951 from the Historiques collection. 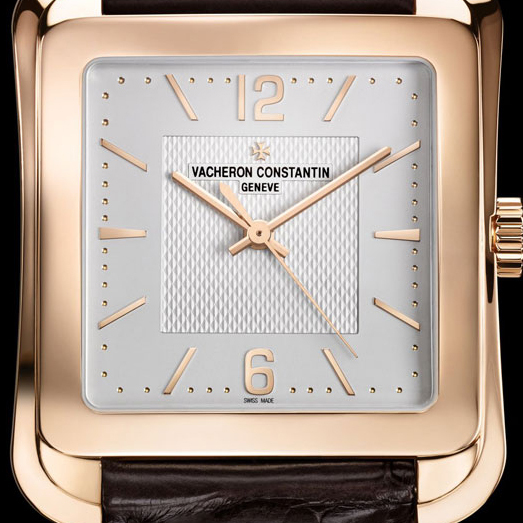 The legendary watchmaker Vacheron Constantin in honor of the 120th anniversary of GUM has released a new original model. It should be noted that a few Swiss watch brands have developed limited editions that will be sold exclusively in the State Department Store. The watchmaker Vacheron Constantin has introduced a new model of watch Historiques Chronometre Royal 1907, issued in a single copy. Introduced in Geneva by the legendary watch manufacture Vacheron Constantin exhibition, which runs until 2014, is called "The Sound of the time." Only Watch charity auction held every two years in Monaco during the Monaco Yacht Show. This year, the auction will be held on September 28. All the proceeds from Only Watch go to support research for Duchenne muscular dystrophy. The famous watchmaker Vacheron Constantin after the partnership with École Française de Danse and its 300th anniversary has released a new series of models from the Métiers d'Art collection - the Métiers d'Art Hommage à l'Art de la Danse timepiece. Watchmaker Vacheron Constantin presents the gorgeous women’s watch Patrimony Traditionnelle Paris Boutique Small Lady (Ref. 81558/000R-9807). A pocket watch - a symbol of prestige and freedom. It gets rid of the owner of the need to listen to the bell ringing for orientation in time, accompanying him in everyday life. Vacheron Constantin invites watch collectors and enthusiasts from around the world in his new boutique, located at 365 North Rodeo Drive. It is the 35th brand’s store in the world and the fourth in the U.S., the other three are open in New York (September 2011), Las Vegas (August 2012) and the California shopping center South Coast Plaza (November 2012). To mark the opening of a new boutique in Paris, the famous watchmaker Vacheron Constantin will release a new version of the model Prestige of 1972. The 2013 year was marked for the watchmaker Vacheron Constantin with opening of a new boutique in Paris, 2 rue de la Paix. It will present the most interesting examples of the Swiss manufacturer of watch models. The company Vacheron Constantin at the Geneva Salon International Haute Horlogerie SIHH 2013 introduces female models of three collections - Patrimony, Malte and Métiers d'Art Florilège. Wristwatch with a snake or ''snake'' watch – is the mascot of the come year 2013 of Black Snake! 2012 year was left behind – the year of the mighty Dragon, losing its rights wise Snake of 2013. Year of the Snake – it is a time of the mysterious events and unexpected occurrences. This is the year of wisdom, knowledge and intellectual activity. The famous company Vacheron Constantin, known for its magnificent watches on the watch market, won Florens Prize. The prize was awarded to the ten nominees for the development of arts and crafts. One of the oldest Swiss watch brands Vacheron Constantin, known in the watch market with its incomparable models, has released a new Legend of the Chinese Zodiac line, which is a part of the Métiers d'Art collection. 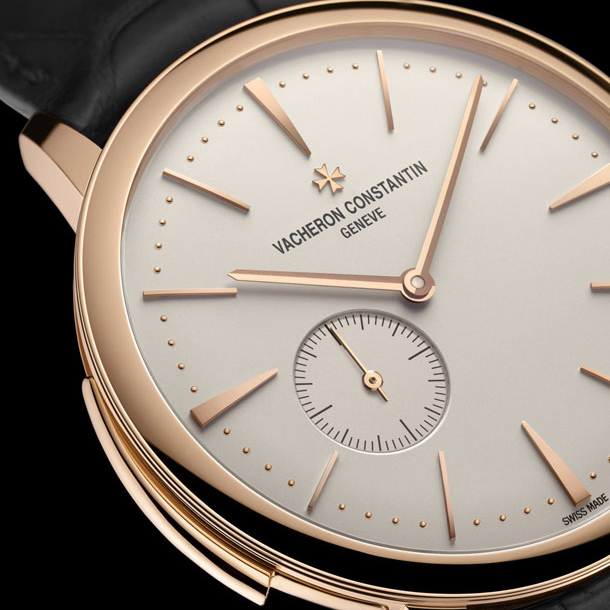 Swiss company Vacheron Constantin has introduced a new model Patrimony Traditionnelle Self-Winding (Ref. 43075/000R-9737), performed in the classic, elegant style. Swiss company Vacheron Constantin has announced a two-year collaboration to promote and support the high art of watchmaking in North America. North American Institute of Swiss Watchmaking NAIOSW, whose sponsor is the company Vacheron Constantin, is a branch of the Institute of Swiss Watchmaking IOSW. Swiss watchmaker Vacheron Constantin, which is known worldwide for its incomparable masterpieces, presents a new version of the model from the Overseas collection. Now the novelty has a deep blue color, which is harmoniously combined with a steel case. The legendary watchmaker Vacheron Constantin has become an official partner of the series of photo exhibitions Divine Moments in India. Exhibits exhibitions in Delhi, Mumbai, Bangalore and Ahmedabad will be photos that made by Raghu Rai. In July 11 this year, the company Vacheron Constantin has presented a new third model from the Métiers d'Art Chagall & l'Opera de Paris collection – “Hommage to WA Mozart “, created in cooperation with the Opéra national de Paris. Genuine Swiss watches by Vacheron Constantin are known worldwide as the most expensive and collectible watches, different with sophisticated and luxurious design and high specification elements. A deep belief in the richness of human nature has become a point of contact of a known watch house Vacheron Constantin with the fine arts. The company Vacheron Constantin has presented to the demanding public a new line of watches «Métiers d'Art - La symbolique des laques», which consists of three unique models. The information watch portal Montre24 provides a unique opportunity to all lovers of watch art who are keeping an eye the latest developments in the watch industry, to learn about the luxury watches of the legendary Swiss manufacture Vacheron Constantin. At the annual Salon Haute Horlogerie SIHH 2012 the Swiss company Vacheron Constantin has presented a new model from the series Métiers d'Art - Les Univers Infinis - the Shell watch. At the annual exhibition SIHH 2012 the Swiss manufacture Vacheron Constantin has introduced a new model from the collection Métiers d'Art - Les Univers Infinis, in which were used 3 methods of processing - engraving, enameling and guilloche. At the annual Salon Haute Horlogerie SIHH 2012 the Swiss company Vacheron Constantin has unveiled three new models in a series of Métiers d'Art - Les Univers Infinis, which fully reflected the fundamental connection of the watch house with art. The watch company Vacheron Constantin in 2012 celebrates the 100th anniversary of the first watch release with tonneau-shaped case. The Geneva manufactory one of the first has introduced to the world a pocket watch with tonneau-shaped case. Watchmaker Vacheron Constantin has introduced its first model of wrist watch Patrimony Traditionnelle 14-day Tourbillon according to new criteria of the Geneva Hallmarks. In December 7 in New York it will be the next auction Antiquorum Important Modern & Vintage Timepieces. It can be purchased by such outstanding watches, such as Vacheron Constantin Ref. 30020 2000, equipped with minute repeater and perpetual calendar. This model is presented in the case of platinum, and is estimated at $180-220 000. Watchmaker Vacheron Constantin has presented an unusual bracelet. In addition to the incredible beauty of it the surprise lies: this is masked lady’s watch. This elegant and yet useful piece of jewelry is a perfect gift for the New Year. The president of the watch company Vacheron Constantin, Juan Carlos Torres said in an interview to Le Temps about his plans for the next five years to invest 100 million francs in the development of watchmaking and innovation of new models in Switzerland. As a official supplier official of Indian monarchs for centuries the famous Swiss brand Vacheron Constantin has organized an exclusive exhibition of rare photographs of Indian Maharaja "Journey to the era of the Maharajas." The unique exhibition will take place throughout India, at the sites of the gallery Tasveer, which is the largest exhibition hall, where exhibited masterpieces of world photography. On September 20, 21 and 22, Juan Carlos Torres, CEO of Vacheron Constantin and Hugues de Pins, President of Vacheron Constantin North America, commemorated the grand opening by hosting a series of intimate black tie dinners featuring world-class chefs: Chef Eric Ripert, Chef Thomas Keller and Chef Sergi Arola.